While I was a life-long nail biter until about the age of about 20 years of age, I was somehow able to cut the habit cold turkey and have enjoyed the time experiencing the most luxurious experience of manicures and freshly painted nails. But recently I’ve found myself nibbling on my cuticles (maybe due to stress or anxiety) so I’ve been forcing myself to – firstly stop – but also apply a cuticle oil all around each nail and surrounding skin morning and night, which has greatly improved the condition and appearance of my my nails and hands. Inspired by this small step yet vast improvement to my nails, I have since reached out to Anna Lajourdie, a nail technician based in Ontario, to speak more about all things nail and nail care. If you’re obsessed with your weekly manicure, you’ll love this! Anna Lajourdie is a world-renowned nail technician, consultant, international educator and competition winner. A 22-year veteran of the nail industry, Anna has been featured and published in an array of magazines (Beauty Cosmedica, Nailpro, Scratch, and Nails Magazine—to name a few). 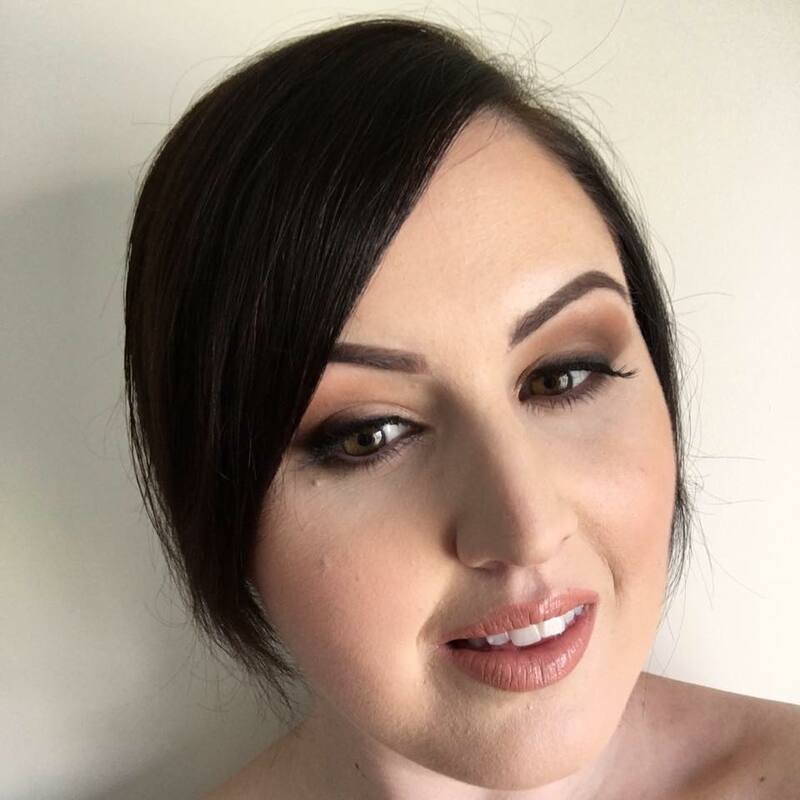 In addition to working in her private manicure/pedicure studio located in Oakville, Ontario, Canada Anna actively works with various products manufactures, distributors and other industry leaders to raise industry standards. Please give Anna a follow at https://www.instagram.com/polished.ca/, her work is exceptional and is a reminder to me to always consider the hygiene of the salons I visit, and the health of your nails at all times. New or properly sanitised tools and equipment, fresh towels for every client and a spotless environment, before being treated with a superior treatment should be non-negotiable in nail salons, and I personally find that visiting mass nail chains – it’s simply not. We must expect better, and treat ourselves with the best of the best. Ok, let’s get into it! Hi Anna, and thank you for speaking with Why Hello Beauty. I’d love to know, first and foremost as it’s seen ALL over Instagram right now – is trimming or cutting the cuticle a do or huge don’t? This has been a super hot topic in the industry for a while now. Here is the funny thing. Most of people have the c word very confused. Turns out, that there is 2 “skins” around the nail. What an average person thinks of a cuticle, is, in fact- Proximal Nail Fold. And that ladies and gentlemen is… living skin. Cuticle is the thin film of skin cells that peaks from underneath of Proximal Nail Fold. That is dead (skin). Proximal Nail Fold can be gently nudged back, exposing the cuticle. Cuticle then can be and should be removed before of application of any nail polish/gel polish/enhancements or just to make the nail look neat. But what if the Proximal Nail Fold is ugly and thick and cracked? Well, if the PNF was cut, it does grow back thicker because the living skin is trying to protect the vulnerable area around the nail. When the skin is left alone and protected and cared for, it starts to grow in a more normal manner. When the PNF is pushed back gently (like after a shower, when the skin is softened) once or twice a week, and it’s protected with oil, the skin regains the flexibility and it starts to grow in a more appealing manner. Trust me on that. I had many clients with damaged skin around the nails. With gentle care, I’ve seen great improvement. Without any cutting. And speaking of nail care, what benefits will we use from regular cuticle oil application? So many!! Oil sounds so simple and too good to be true but…. it’s true! Oil makes a huge difference! It mostly protects the skin from irritants and water loss (and excessive water absorption- too much water is not good either!). It plasticizes the nail plate and the product if you are wearing it (polish or gel polish). My fav oil at the moment is Dadi Oil by Famous Names. Look for something with a mixture of oils like avocado oil, almost oil, olive oil, rice bran oil as first ingredients. Even castor oil is a good addition to an oil in the winter (it’s heavier so it can feel little sticky though) it’s great for skin protection. I suggest using it minimum 2-3 times a day. More if your skin is dry. I also have to ask, when painting our nails at home, do we really need a base coat AND a top coat? Yes, for sure! Go with what the manufacturer tells you. Some polishes now do not need a base coat so it can be skipped. The base in that case is built into the color coat. The results are actually impressive when it comes to lasting power. I do find that some darker colors and bright reds stain the nails if no base is used so I still add the base to protect the nails from staining in that case. Top coat is needed for shine. 100%. I haven’t found polish (or gel polish for that matter) that dries as shiny as top coat. My all time favourite quick dry top coat for pedicures is not Seche Vite… it’s Dior Abricot Top Coat. It does not shrink, doesn’t thicken up until about 70% used up. I use it on all my client’s pedicures. And yes, I buy it at full price at $30 a bottle. To use in my salon. It’s that good. For hands I like to stick with full systems. My favourite, longest lasting brands are OPI Infinite Shine (LOVE the ProStay base and top) and Essie Couture and of course Vinylux by CND. I don’t use Vinylux for pedicures often because after 4 weeks it’s very difficult to remove. I love the brushes on Essie Couture and the new Vinylux. Do you have a preference to a specific nail brand or range? Overall, I love working with CND, I respect for what they do for the industry and how the company markets their products. They never utilize any shady fear tactics that are so popular in the cosmetic world. Also Dior for their nail polish range. Great shades. Excellent formula. The quickest drying top coat (that doesn’t shrink). Gel polish, acrylics or SNS – what’s your expert opinion on these treatments Anna? They are all as good as the nail tech who uses them. They are all “healthy” when used as directed and bought from reputable companies. I don’t buy into fear marketing at all. One thing to remember: Enhancements are for the look. They look pretty. They should not be used to “make the nails stronger”. If people choose the enhancements mainly for the strength they usually ending up damaging their nails. If the product doesn’t break, the surface of the nail suffers. They also have to be maintained every 2-3 weeks. I don’t recommend enhancements to people who are not into caring for their nails and not willing to maintain their nails. What design trends or colour selections are your clients drawn to at the moment? This is the first year in my 20+ year career that I did tremendous amount of light pink manicures. Everyone was and still is crazy about it. Like CND Winter Glow. Or OPI Infinite Shine “Pretty Pink Perseveres” and “Beyond The Pale Pink”. The New CND Shellac Luxe “Aurora” is one of the best looking pinks too! Also nudes and other softer pinks….. but my clientele is the “natural type” which is totally up my alley…. I’m all into minimalistic nail style. The “clean look” is also very requested. Very chic. Are there any nail art designs or styles that you are completely over, and can’t wait to see it gone forever? French. I’m over it. And Russian Manicures (it’s when they use electric file to file the dry skin away). Dangerous and the puffy, swollen skin looks bad. What nail care products could you not live without, and recommend to everyone? Dadi Oil. Also Dior Abricot Top Coat. And I tried them all. And finally, what is the one thing we can all do for healthier, more polished nails and hands? Gloves. They protect our hands from irritants (like dishwashing detergent) and water. I always wear the thin, nitrile disposable gloves when doing dishes. Wearing gloves in the winter to protect skin from cold is a must. Also if you are wearing gel polish or any type of enhancement it will benefit from that protection too! Also barrier cream! And sunscreen. Sorry, that was 3. I use cuticle oil every day, but to the looks of this post… I need to step up my nail game!